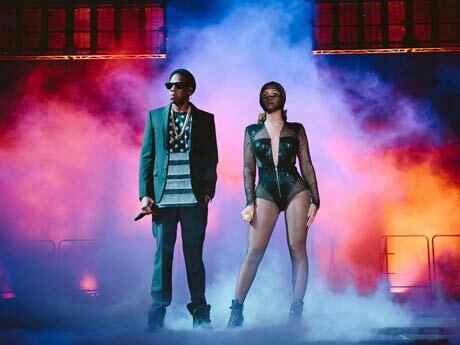 There have been a spate of deaths and hospitalizations following most major music festivals this summer, but an injury sustained at a recent Jay Z and Beyoncé show has got to be one of the weirdest yet. The married megastars are currently completing their "On the Run" tour, which brought them to the Rose Bowl in Pasadena, California on Saturday (August 2). It was at this show where a man's fingertip was bitten off by another man. Roberto Alcaraz-Garnica, 25, allegedly sexually assaulted a female fan at the concert. When her boyfriend stepped in, it's said that Garnica bit off the man's fingertip. Garnica has been charged with sexual battery and mayhem, and is being held on $100,000 bail. Eight other people were arrested at the concert for public drunkenness, with an additional two booked for scalping. Thanks to Billboard for the tip.